WINTER TIDE by Ruthanna Emrys is a book which came out last year, I read and I loved, but for whatever reason I didn't get to review. This is strange and an oversight on my part because it ticks most of the boxes for what I love in fiction: not only is it an H.P. Lovecraft-inspired story but it is also something that reinterprets the Mythos for a modern audience. 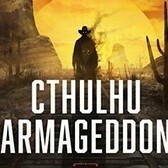 Like Lovecraft Country by Matt Ruff or my own Cthulhu Armageddon, it's a work which tackles HPL's controversial elements head on and does something interesting with them. In the case of Winter Tide, it is a sequel to the novella A Litany of Earth which was originally published on Tor's website and is actually available at the back of the novel. I suggest readers who want to fully enjoy this work read both A Litany of Earth first as well as H.P. Lovecraft's The Shadow over Innsmouth, which remains his most famous work as well as the work which this is a perspective flip as well as continuation of. For those of you unfamiliar with The Shadow over Innsmouth, the premise is a young New England scholar heads to the titular town of Innsmouth. It is a decaying hellhole of a fishing village with the locals all looking grossly deformed with huge eyes, scaly skin, and frog-like bodies. Gradually, the protagonist discovers the Innsmouthers have been interbreeding with a evil race of fish men called the Deep Ones and worshiping the dread god Cthulhu. The protagonist calls the US government down on them and they're all arrested before being herded into camps. Ruthanna Emrys takes this rather horrifying ending, if you treat them as people rather than monsters, and makes a series about the camps' (almost) sole survivor. In this universe, the Deep Ones were just a peaceful aquatic race which was unfairly maligned by both H.P. Lovecraft's protagonist as well as the US government. The same camps which held Japanese Americans during WW2 contain the leftovers of the Innsmouth Raid. Aphra is traumatized by the event and simply wants to get on with her life--but the US government isn't done with her. Aphra Marsh's story is basically the H.P. Lovecraft version of Wicked where up is down, black is white, and the Mythos is good rather than evil. The US government hideously wronged Aphra and her people but have the gaul to want her help in dealing with magical matters. Magic isn't evil in this universe but it's not "safe" either and plenty of humans are messing with forces which could end up destroying the world by accident. So, Aphra, heads off to join an FBI team trying to find a Russian spy in Miskatonic University. The book advertises itself as a spy thriller but it's mostly a drama about Aphra coming to terms with the appropriation of her people's books and cultural artifacts by Miskatonic University. She has to go to New England in order to look at her people's own work and request them from the library which stole them. Meanwhile, she also has to deal with a variety of personages who want to take her religious practices then remove all context from them in order to make a purely scientific form of magic. I found these elements of the book very timely with things like Trevor Noah talking about how museums in Europe refuse tor return African art taken during the colonial era as well as things like Mindfulness that attempt to remove all Buddhism from Buddhist practices. Some of this is intended by Ruthanna Emrys while other is just happy coincidence I'm sure. The book is never preachy but is definitely written from the perspective of a minority coping with having her culture turned "trendy." It makes me wonder what she'd think of Cthulhu slippers since he's their version of Jesus. I liked the eccentric cast of characters which the author assembles around Aphra Marsh. Spector is a true blue Captain America sort of patriot but you have to wonder if he realizes just how much he's re-opening old wounds in his attempt to make amends for his country's crimes. Professor Turnball is a delightful character and I liked the slow revelations about how her relationships (like her maid that the Great Race of Yith drove off). Barlow and his team of idiot FBI magicians also served as fun antagonists, even if I sympathized with them more than I should have. It reminded me a bit of a Mythos version of Agent Carter but with less action and more melancholy. Does the book have any flaws? Well, I'm going to be remiss if I didn't say the book is sometimes a bit on the slow side. There's also the fact Aphra Marsh is not particularly interested in finding out the identity of the Russian spy in Miskatonic University's library. She gets around to it eventually but there's never a confrontation or dramatic payoff. Instead, she's sidetracked by her "fellow" FBI agents and visiting Innsmouth for the first time in years. For those wanting Aphra to get involved in spywork, it's a bit of a disappointment. This is a small flaw, however. One simply needs to understand what sort of book this is. I really enjoyed this book and I think your enjoyment will be affected by how much you know (and love) H.P. Lovecraft while also being willing to put up with some good-natured criticism of his concepts. Aphra and the Deep Ones are a bit too nice at times but still likable characters. Besides, you don't want to give them any sorts of characteristics that might make the treatment of them seem justified (especially when drawing parallels to real life history). It's, overall, an extremely entertaining novel and good scifi.